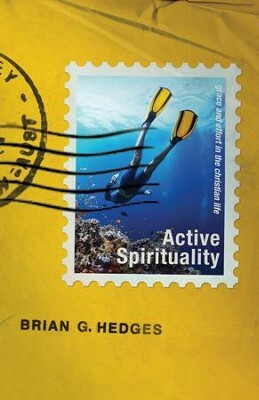 In Active Spirituality, Brian Hedges allows us to read someone else's mail a series of warm pastoral letters, written to a young Christian, about the paradox of grace and effort in the life of faith. Is my Christian life about trying or trusting? Would I describe my relationship to God as running or resting? Is my life more characterized by grace or effort? The wisdom in the letters makes clear that it is both: trying and trusting, running and resting, dependence on grace and exerting disciplined effort. This balance is not about getting my doctrine right, but is key to living a healthy Christian life. So, pull up a chair, settle in, and read over the shoulder of Chris, a struggling young adult trying to find a church, overcome discouragement, live a chaste life, and develop a plan for spiritual growth, all while learning to rest in the finished work of Jesus. I'm the author/artist and I want to review Active Spirituality: Grace and Effort in the Christian Life - eBook.